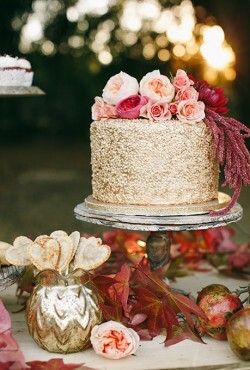 I love all the colors of fall – deep red, oranges, and yellow make everything prettier this time of year. 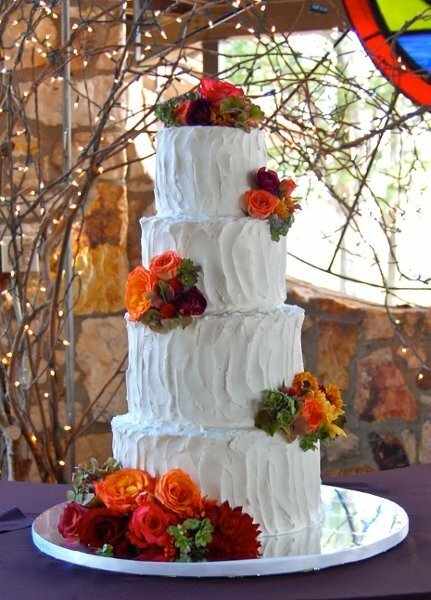 And incorporating those colors into your fall wedding includes using them on a lovely and elegant fall-inspired wedding cake. Let’s face it – it’s hot outside. 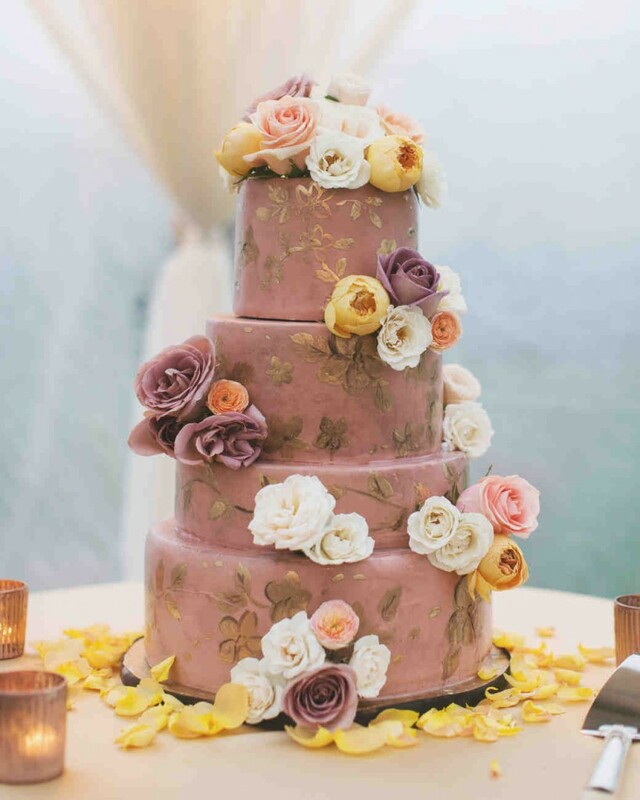 And while I’m normally a fan of LOTS of icing on wedding cakes, in the summer I think the “naked” wedding cake trend is perfect. And today’s featured cake is soooo pretty it doesn’t need much icing at all. Ah, bundt cakes. The ubiquitous cake of the 1950s and 1960s. They’re so retro that they’re cool again – just ask my mom. 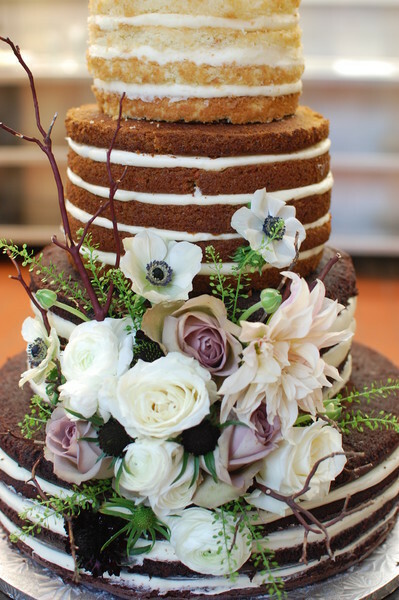 She loves to bake bundt cakes for family birthdays, complete with homemade chocolate drizzle. 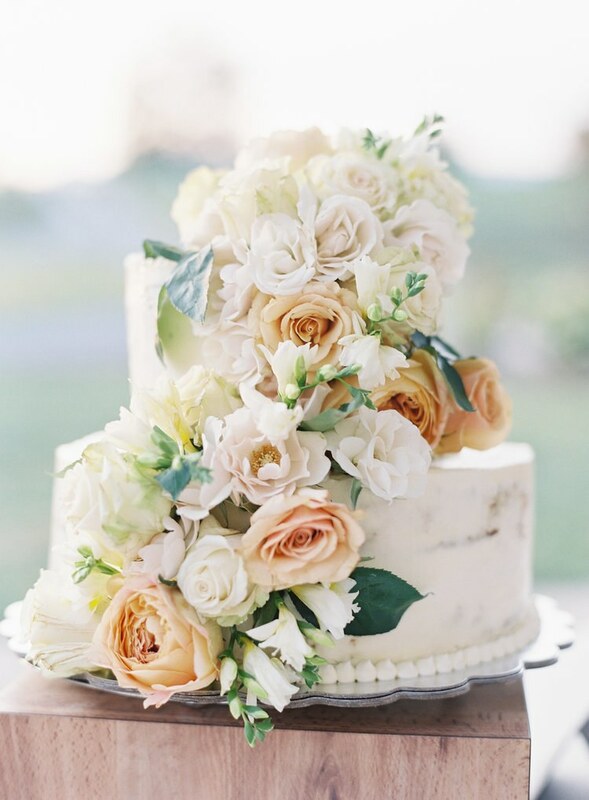 I’m a big fan of fresh flowers on wedding cakes. My own wedding cake was adorned with bunches of Black Magic roses and those dark red blooms made the white cake really pop! 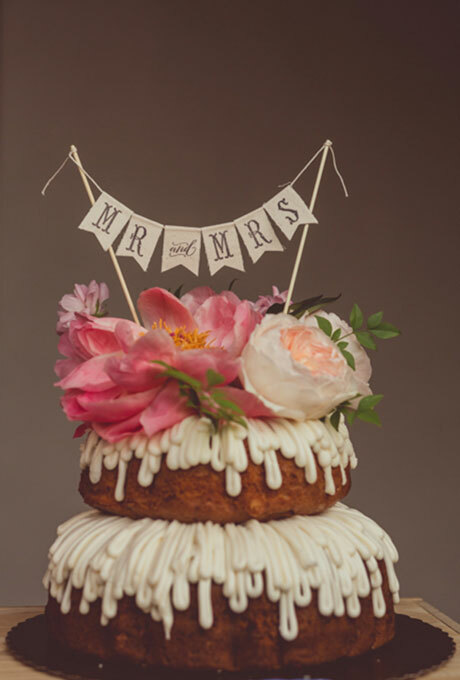 Today cake goes floral in a really big way! 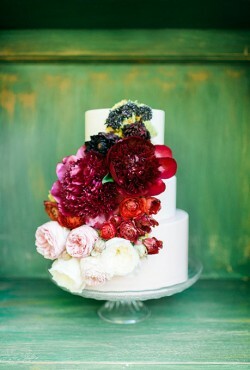 I love an over-the-top, non-traditional wedding cake just as much as the next non-traditionalist. 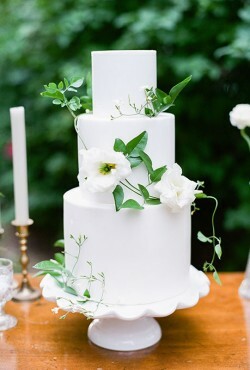 But I also love simple wedding cakes that are both elegant and gorgeous. 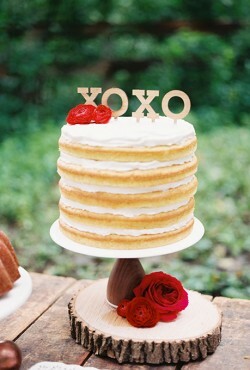 Take today’s wedding cake as an example. There isn’t a lot going on with the cake but that’s what makes it special. The ‘wow’ factor is in the cake’s simplicity. Strangely enough (or maybe not so strangely considering my love for all things warm and tropical) I adore flamingos. Yes, they’re odd looking – tall, pink birds – but they make me think of warm climates like Florida. Which makes me think about summer. Naked wedding cakes are one of those wedding cake trends that I’m not sure I can fully support. I mean, c’mon. These cakes are seriously lacking in one very important ingredient – FROSTING! But, as the saying goes, it’s what in the inside that counts. 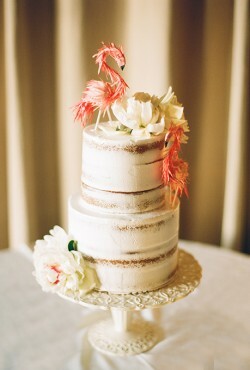 It’s been established that I’m totally in love with the sprinkle wedding cake theme right now. Which is really kind of weird because in reality I don’t like sprinkles on cake or cookies (or ice cream). But I love how they look on a wedding cake.